NCAAHPERD-SM :: Constitution Revisions Approved! 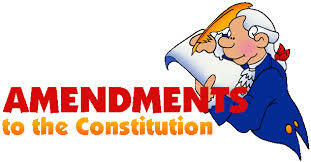 What's New > Constitution Revisions Approved! The proposed revisions to the NCAAHPERD constitution were approved at the Business Meeting held in conjunction with the annual fall convention help in Raleigh this past November. The Business Meeting, which was open to all NCAAHPERD members, was called to order by President Carol Smith. Once the meeting was underway, President Smith reviewed the proposed changes to the constitution along with the rational for the alterations. Once President Smith completed her presentation, a motion to approved the revisions was quickly made and seconded. With little to no discussion, the motion was put to a vote and was approved without objection.